TAKE NOTE Top rack holds up to seven lids. Adjust the bottom rack to hold pots and pans of many sizes. 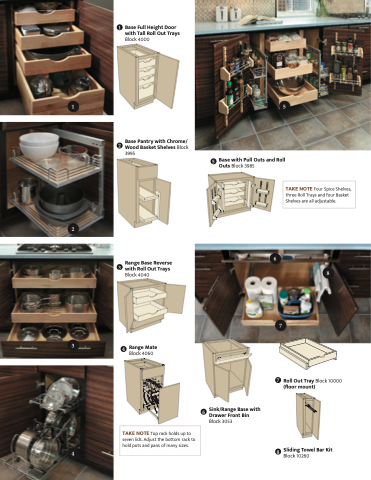 TAKE NOTE Four Spice Shelves, three Roll Trays and four Basket Shelves are all adjustable.